What does the future hold for medical marijuana in Washington state? It's looking kind of ominous right now after state officials issued draft regulations that would wipe out home grows and many dispensaries. But there's going to be some pushback. In the latest sign that marijuana legalization is at the tipping point, a new Gallup poll has support at 58%, up a dramatic 10 points from last year. A new poll has support for marijuana legalization at 65% in California. The pressure to not wait for 2016 is bound to mount. California Lt. Gov. Gavin Newsom will lead a high-powered panel of experts on a mission to study the best way to legalize marijuana in California. They're aiming at 2016. Marijuana seeds will be legal in Slovakia starting next year. Just don't grow anything with them because the plant itself will remain illegal. An Indianapolis man is dead after police said he refused to drop a weapon as they raided his apartment in a dawn drug raid. 8. 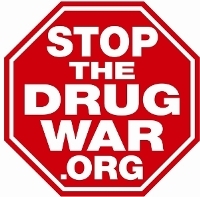 Drug War Chronicle Needs Your Support!